Ice-Pick Lodge, the Russian developers behind the astonishing Pathologic and The Void, as well as last year’s bizarre, fascinating, but flawed Cargo, has just launched a Kickstarter project for their new game Knock-Knock. If you don’t know what Kickstarter is, it’s a website where people – artists, authors, cooks, game developers, theatre troupes – can look for crowd funding for their creative project. These project will almost always give backers different rewards depending on how much money someone pledges. The website’s been around for a few years and indie game developers have been using it for just as long to source money to make games. But it was only with Double Fine’s enormously successful Kickstarter project early this year that people started paying real attention to the platform. Since then Kickstarter has become the next big thing, with hundreds of developers rushing for the gold apparently sprouting out of the very ground at Kickstarter HQ. A lot of people have written breathless articles saying this is the future of game production, with publishers set to become a thing of the past. Others have written similarly breathless articles saying that this is just a temporary fad, and that we won’t even be hearing about Kickstarter in a few years time. As with most things, it’s likely not as simple as all that. Crowd funding will never be the future of all videogames. Partly because big games take a lot of money and it’s unlikely we’ll ever see Kickstarter projects raise tens of millions of dollars. But I also doubt that Kickstarter, and the crowd funding phenomenon in general, will ever really go away now that it’s here. Partly because of companies like Ice-Pick Lodge. Here’s what I think Kickstarter will be used for in the next few years: established game developers that are looking to raise relatively small amounts of money to keep making games for a dedicated pre-existing audience. Sure, there are the anomalies of larger projects with big name, veteran developers like Wasteland 2 and Double Fine Adventure. And there’s also a large number of new and unknown developers scraping respectable amounts of money together using Kickstarter. But it’s developers like Ice-Pick Lodge, Jason Rohrer, and Fallen London’s Failbetter Games (who have recently announced plans to Kickstart a new game project) that will benefit most from the platform. Small teams or solo developers who have gained a cult following through good work they’ve done in the past, and who are looking for a few tens of thousands of dollars for a new project. I think that many of these developers will start using Kickstarter regularly, as well. If an unknown developers succeeds in funding their project once there’s no guarantee they’ll succeed again in the future. But a well-respected small developer with a dedicated following, especially if they’re using it as a means to sell pre-orders for their next game? There’s a good chance that this model will be sustainable for a lot of creators. The one worry I have is that smaller projects often do very well from those few people who pledge large amounts of money. These people may give $100, $200, or $500 and they generally contribute a large proportion of the total money raised. Would the people who paid $250 or $1,000 for Andrew Plotkin’s Hadean Lands spend so much next time Plotkin Kickstarted a project? What about four or five Kickstarter projects down the line? No one really knows yet. 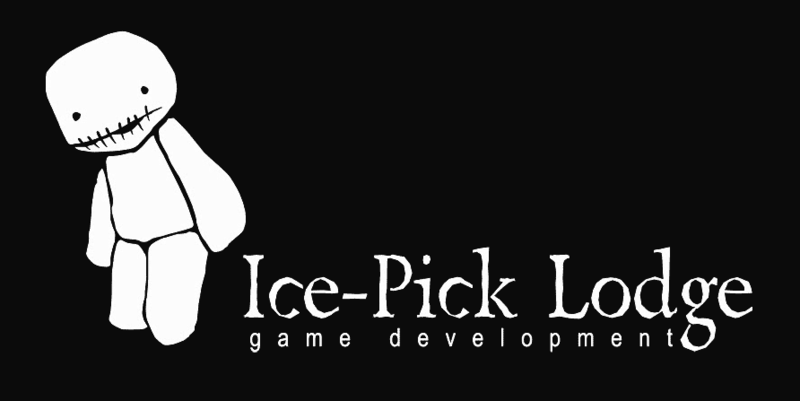 But I do know that if Ice-Pick Lodge, my favourite developer, Kickstarted every single one of their projects from now on I would be more than happy to pay $5, $10, or $20 each time to receive the final product. Because I love their work, and I trust them. And that’s where I think Kickstarter is going. It’s going to become a regularly-used, invaluable tool for studios and lone developers with a cult following that loves their work and respects them as creators. Ice-Pick Lodge has already indicated that they’re interested in going down this road, and I wish them nothing but unqualified success. I think we’ll be seeing a lot more of this in the future, and I’m excited by the prospect of small, talented teams building careers by working directly for their audience and making things that might not have been possible just a few years ago. This entry was posted in Games Blather and tagged Ice-Pick Lodge, Kickstarter, Knock-knock. Bookmark the permalink.